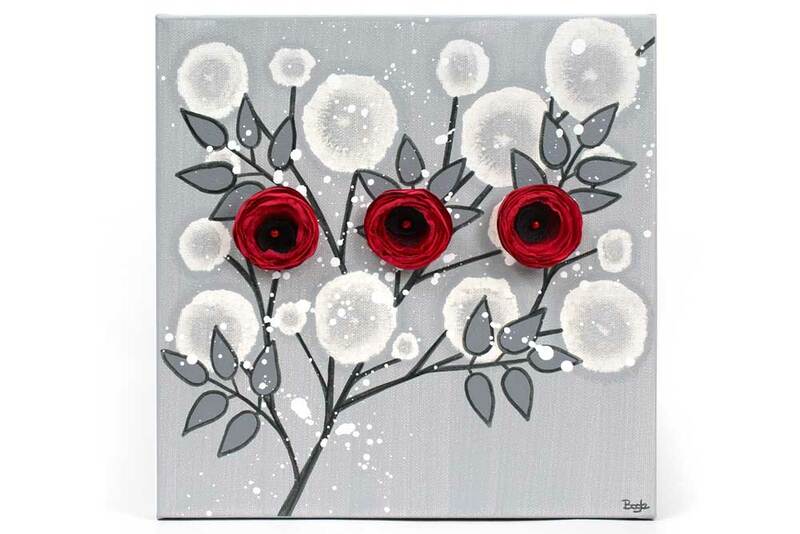 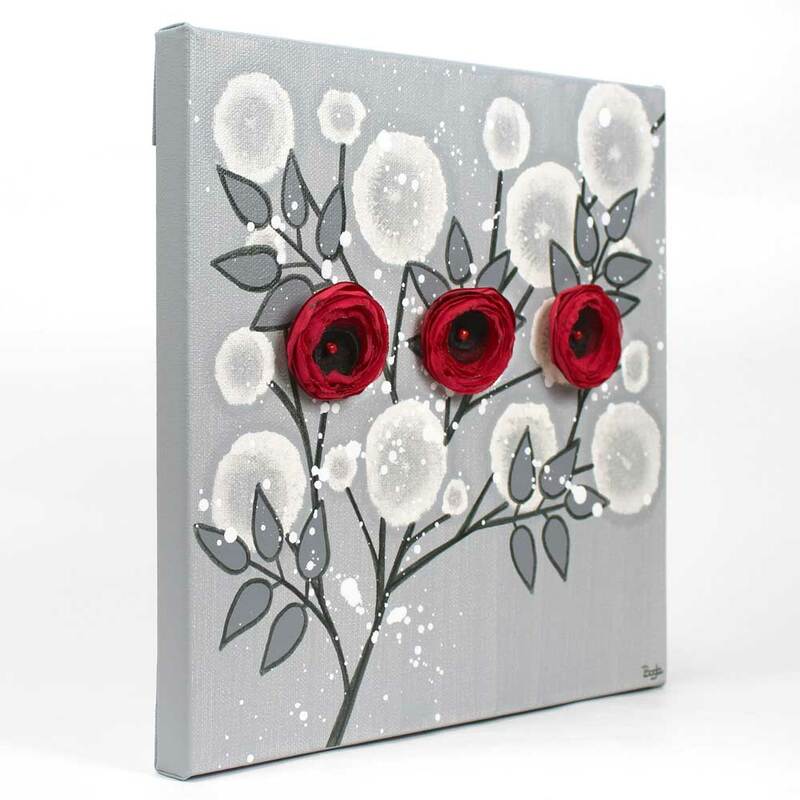 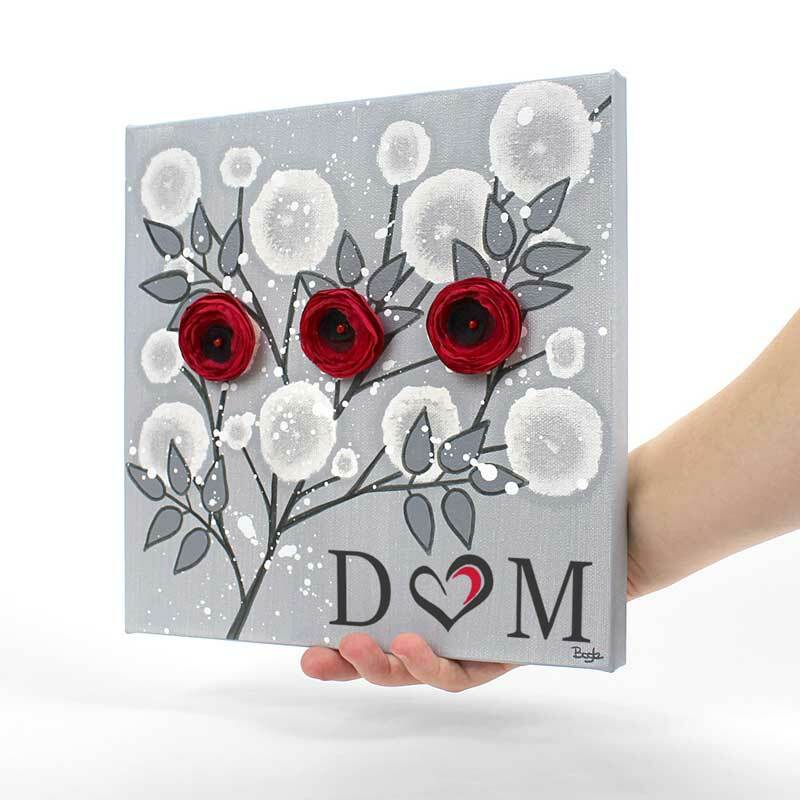 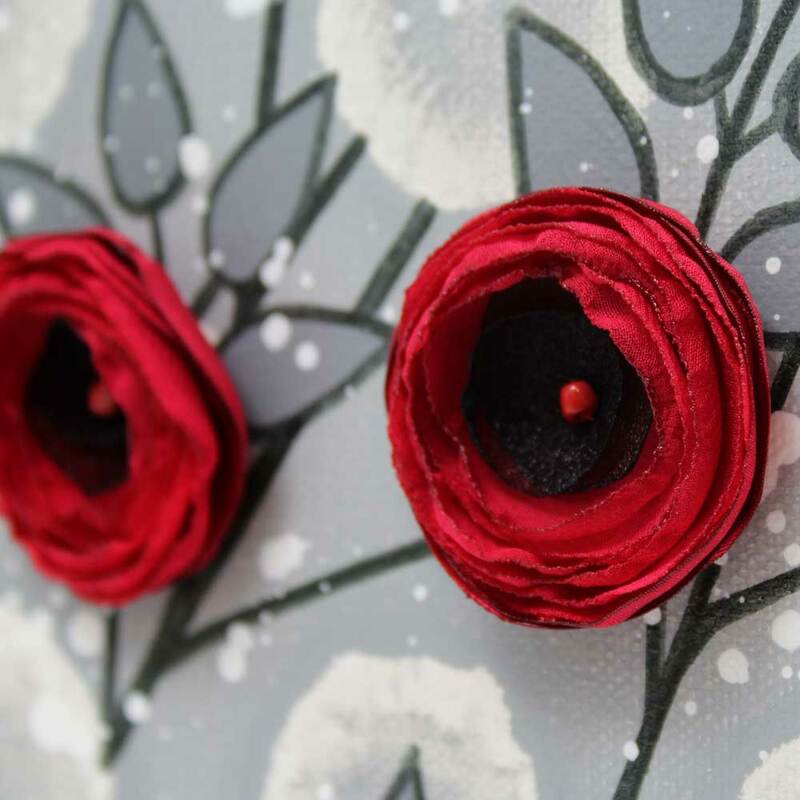 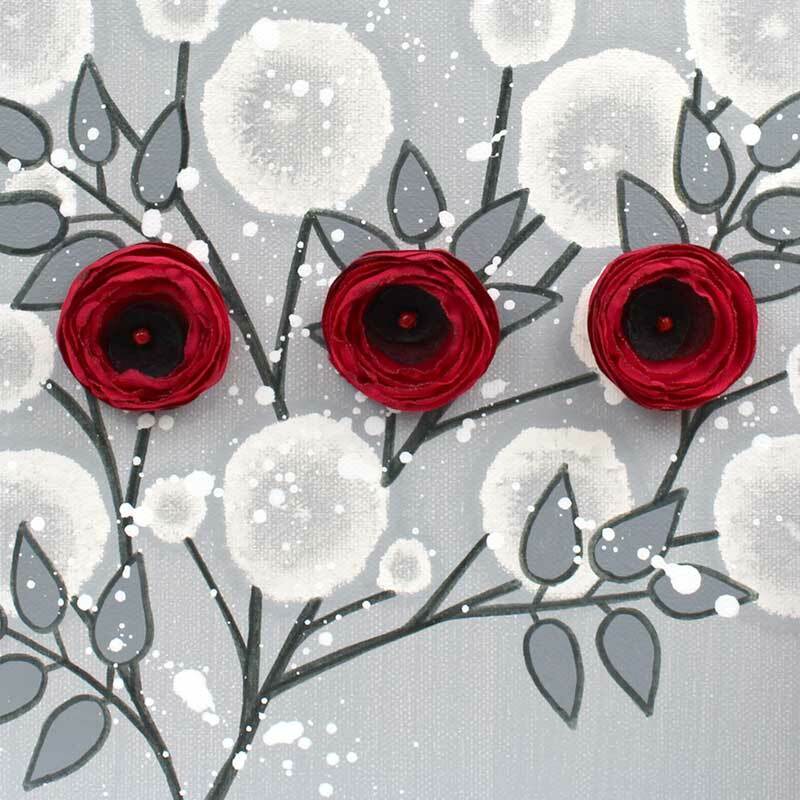 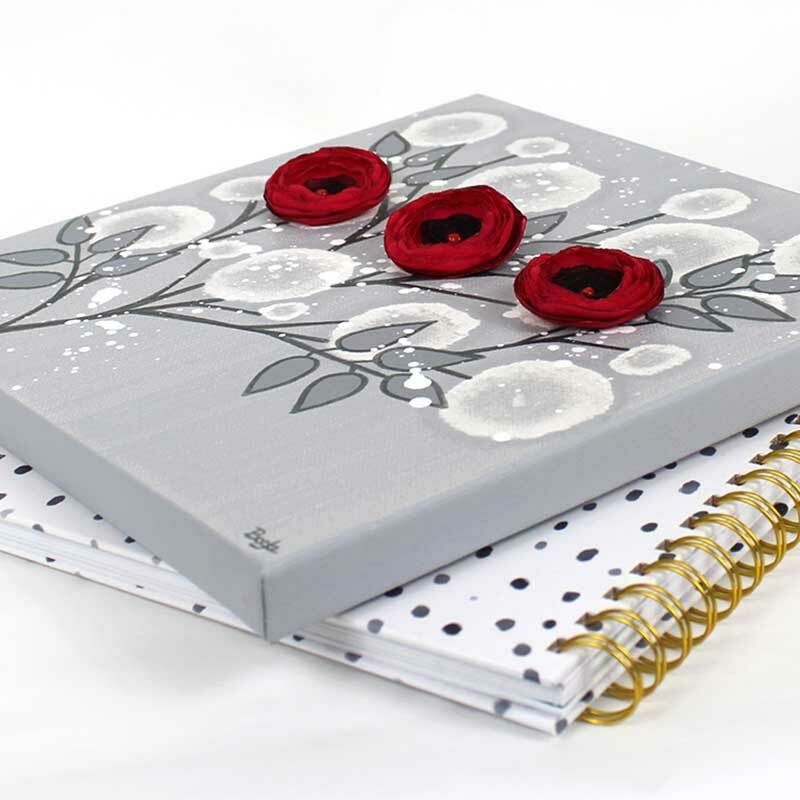 This small canvas art features 3D hand-crafted roses in fluffy red and black organza. 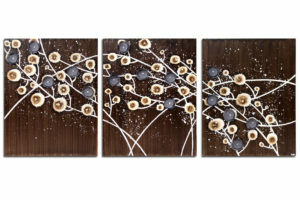 The painting is hand-inked with branches in charcoal gray India ink. 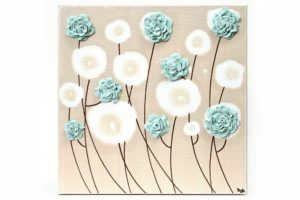 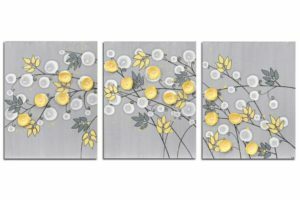 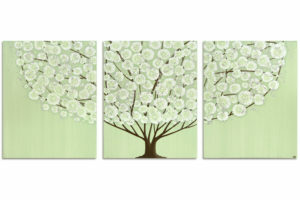 Hang this small canvas art in a grouping or individually as accent art.